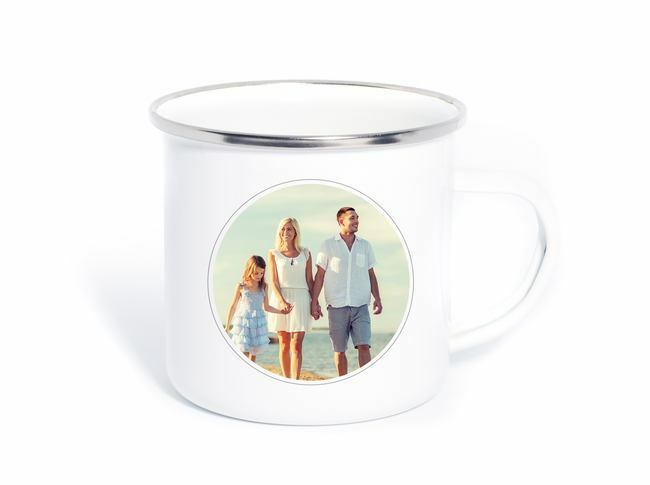 A perfect mug to take with you camping, picnics, hiking or at home. 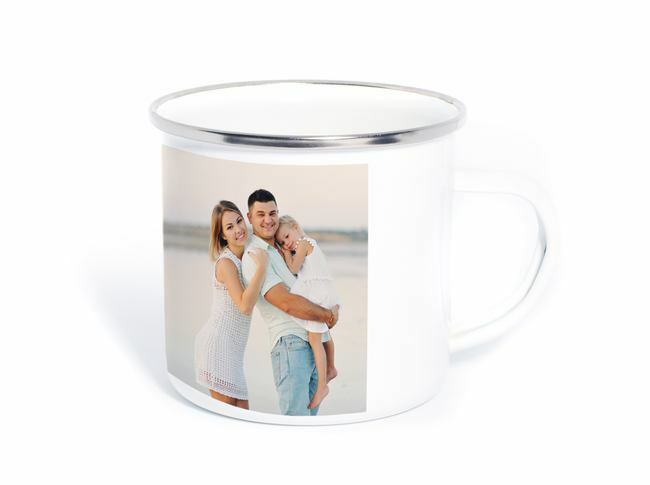 Each mug is hand crafted with your message and photos from a choice of themes using our simple editor. Note; not dishwasher safe. Hand wash and thoroughly towel dry immediately. Really happy with the product -I got an enamel mug with a picture of my dog on it. The website was simple to navigate, delivery was really quick and I was so happy with how the product turned out - actually way better than I had expected! I will 100% order again from here, think they would make brilliant gifts.